The Niagara Purple Eagles picked up their third new player for the 2016-17 season when high school senior Kierell Green verbally committed Wednesday. Green, a 6-foot-7 swingman, spent the last two seasons playing for Integrated Design and Electronic Academy, a charter school in Washington, D.C. He averaged 11.5 points, 10.4 rebounds and 3.7 blocks per game as a senior, leading the Timberwolves to the final four in the D.C. State Athletic Association’s postseason tournament. That’s as far back as Green’s organized basketball history goes. He had just finished his sophomore year at D.C.’s Archbishop Carroll when a former player of IDEA coach James Pope saw him playing at a rec center. Pope checked him out and set up a meeting with Green and his mother. “They liked what the school offered and what I was going to try to do for him on a basketball level,” Pope said. “From that point on it was just a point of him wanting it. 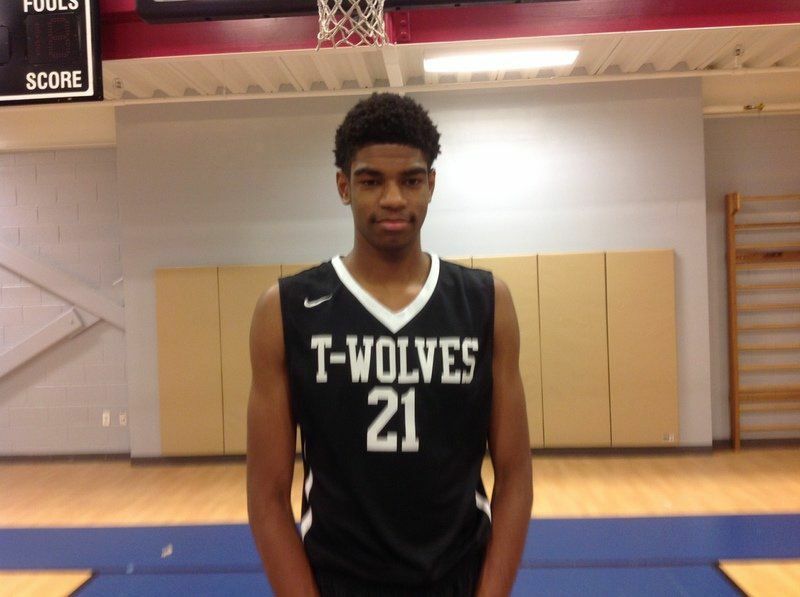 Green had a stellar two years at IDEA, helping the Timberwolves to their first D.C. Public Charter Schools Athletic Association championship as a junior and earning second team All-State honors as a senior. Now, he’s the first IDEA student-athlete in any sport to earn a scholarship and just the 10th boys basketball player from the DCPCSAA to go Division I since its inception in 1998. It wasn’t an easy ride. Green was largely off the radar until he started working with Ricky Goings, who founded Everyone Deserves a Shot with the aim of helping D.C.-area players like Green improve their chances of playing collegiately. Goings already had a relationship with the Niagara staff after one of his first players, DayJar Dickson, signed with the Purple Eagles in 2014. He said Green has “professional” potential. Green plays an all-around game, with the height and length to rebound and alter shots defensively and an offensive game that includes some range. He even won a 3-point competition at a tournament in Maryland this year. Green may have to wait a bit for his next opportunity. He said he’s already spoken to Niagara coaches about likely redshirt season for both academic and athletic reasons. Green said he has to get his SAT score up this summer, but at only 160 pounds, a season to prepare for the next level might be for the best. “I definitely think I need to get a lot stronger, a lot bigger,” Green said. Green is set to sign his official paperwork Monday at his graduation. He said he could be back on Monteagle Ridge for summer workouts and and classes as early as Tuesday. Follow Niagara Gazette sports editor Mike Meiler on Twitter @mikemeiler for updates on your local teams. Glad to see that the staff has enough foresight to hold off and give him a redshirt season.